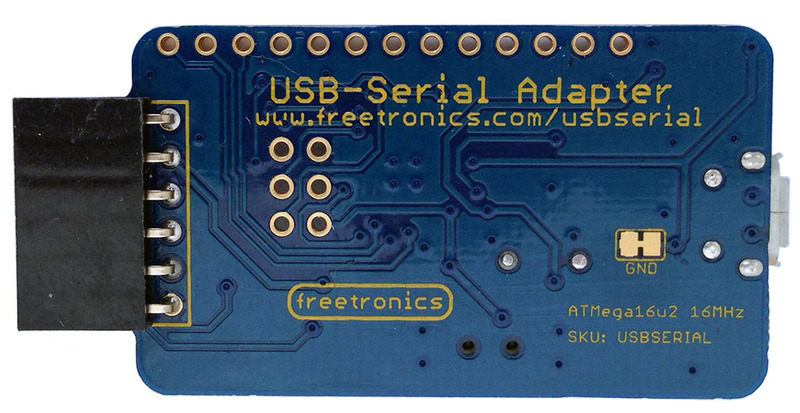 View cart “USB Serial Adapter” has been added to your cart. 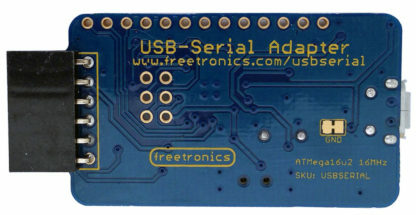 Plugs into a USB port on your computer and provides you with a hardware serial interface: perfect for giving your home-brew Arduino-compatible projects a USB interface compatible with the Arduino IDE. 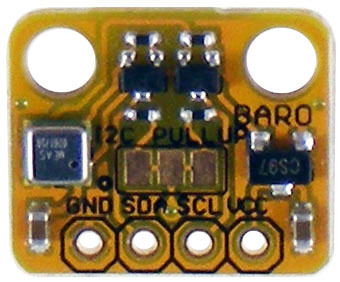 Particularly useful when reflashing Sonoff devices, because the output can be switched to 3.3V. 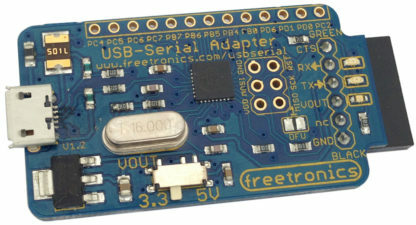 Provides a 6-way female connector with pinout matching the popular FTDI cable. 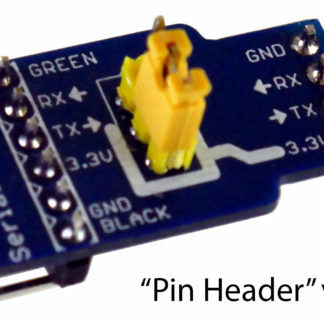 Just plug it into a header intended for an FTDI connection, and you’re good to go. But this board is so much more than just a USB to serial adapter: it’s actually a really useful general purpose breakout for the ATmega16u2 MCU! 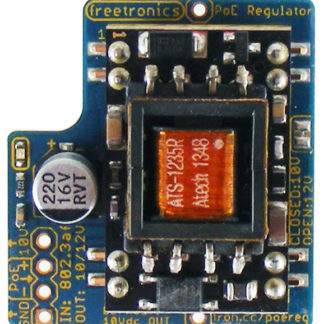 We’ve included headers along the edge of the PCB for the rest of the I/O pins, so you can re-flash the board with whatever firmware you like and use it as a general purpose 16u2 development board. 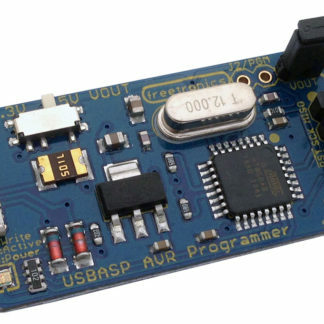 Nice looking kit, but does not work with Mac. 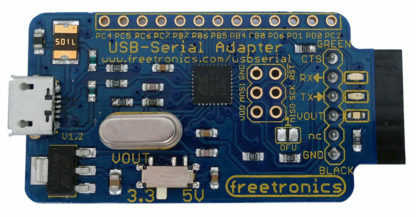 Bought this with the Sonoff Programming Adapter for use with Macbook Pro mid 2018 and a variety of Sonoff boards. 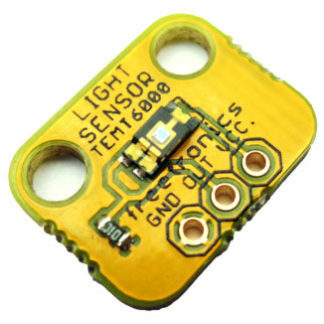 Doesn’t work with any of the Sonoff boards tried (multiple SV, HT10). More worryingly, an email to superhouse support still has not had a response after nearly 2 weeks. 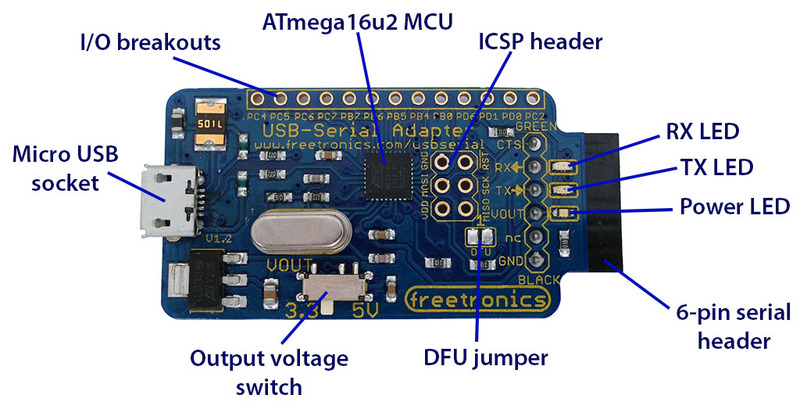 Hi Ian, if it’s not working with your Mac it sounds like there’s something wrong with the specific board. 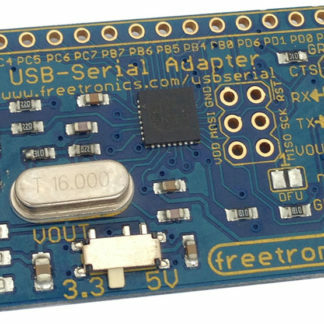 I use mostly Macs, and the circuit on the adapter is essentially the same as the USB to serial adapter portion of the official Arduino Uno. It even runs the same firmware, so if an official Arduino works on your Mac and the serial adapter doesn’t, there must be something wrong with the adapter. Sorry about not following up your support request. I’ll look that up now.